Haile Gebrselassie, marathon world record holder, is skipping the Olympic marathon in Beijing because of the poor air quality. The runner has a history of asthma and cites the poor quality in the Chinese city as a major health risk. 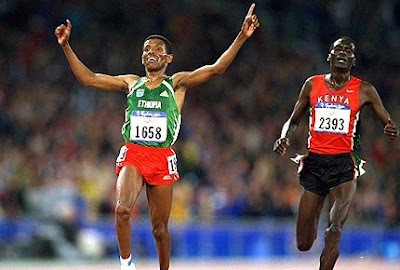 Instead he is opting to compete in the shorter 10,000 meter events in the August games. This announcement follows last year's announcement by Jacque Rogge, Olympic Committee president, who forewarned city representatives that cycling distance events and marathons might be reschedule if air condition were too bad. This announcement highlights the deteriorating condition of air quality in the city. Although city residents are disappointed by the recent announcement, local industries are responding with claims of improvements in environmental practices.